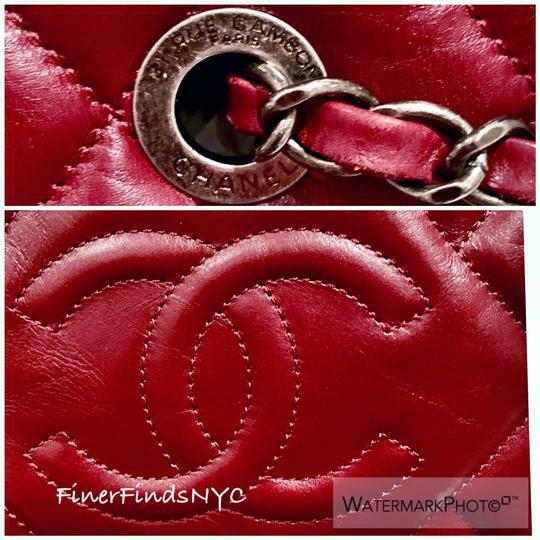 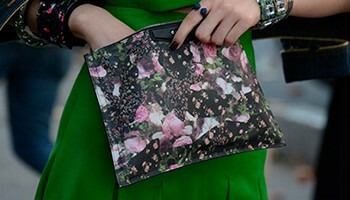 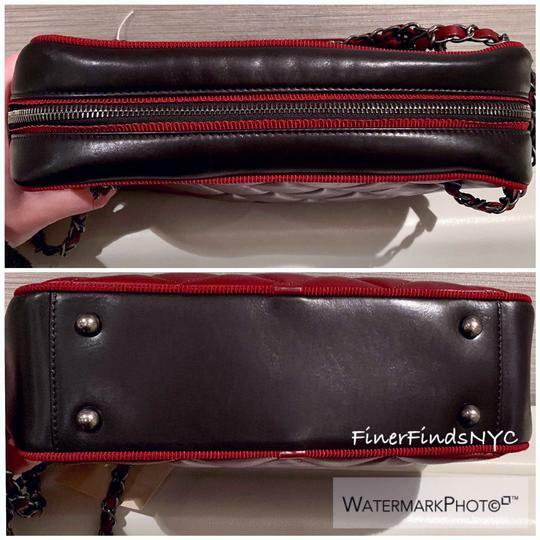 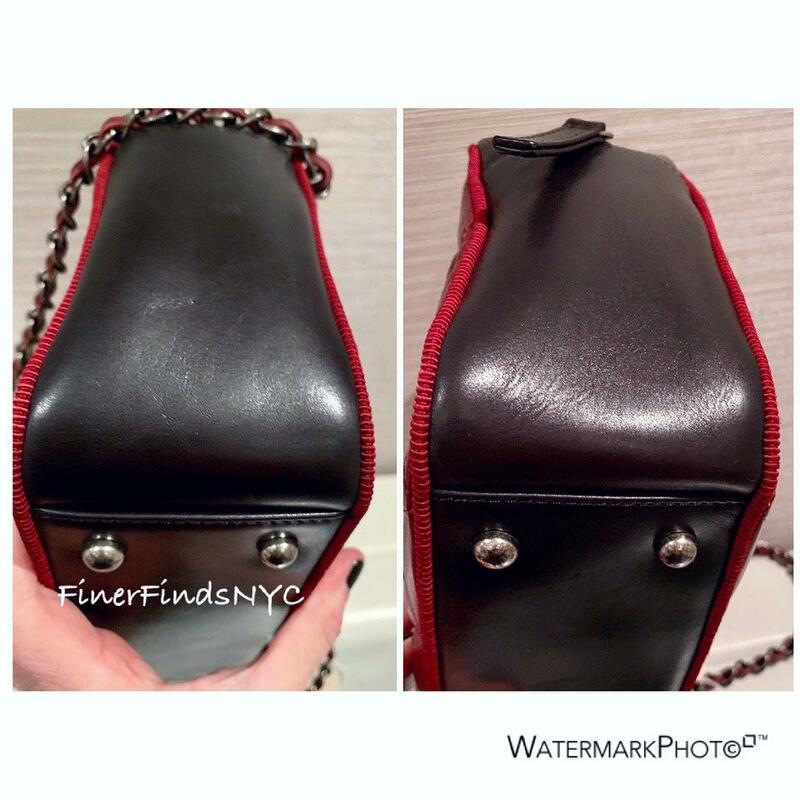 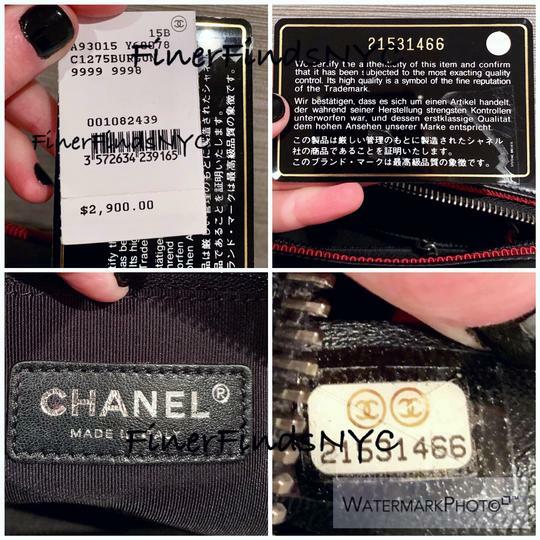 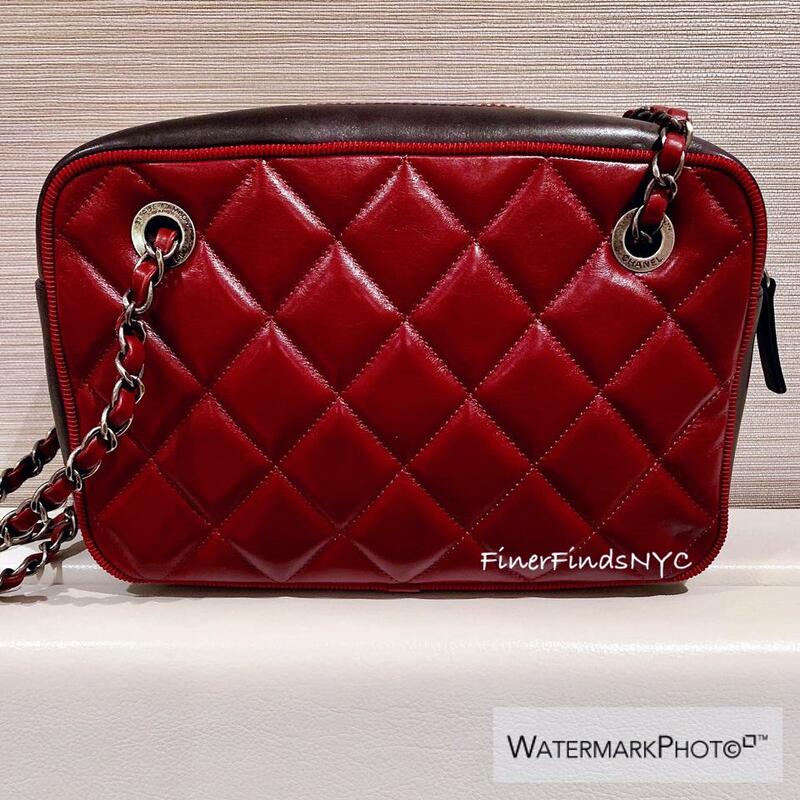 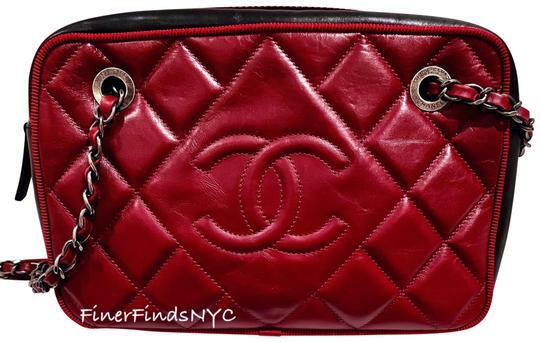 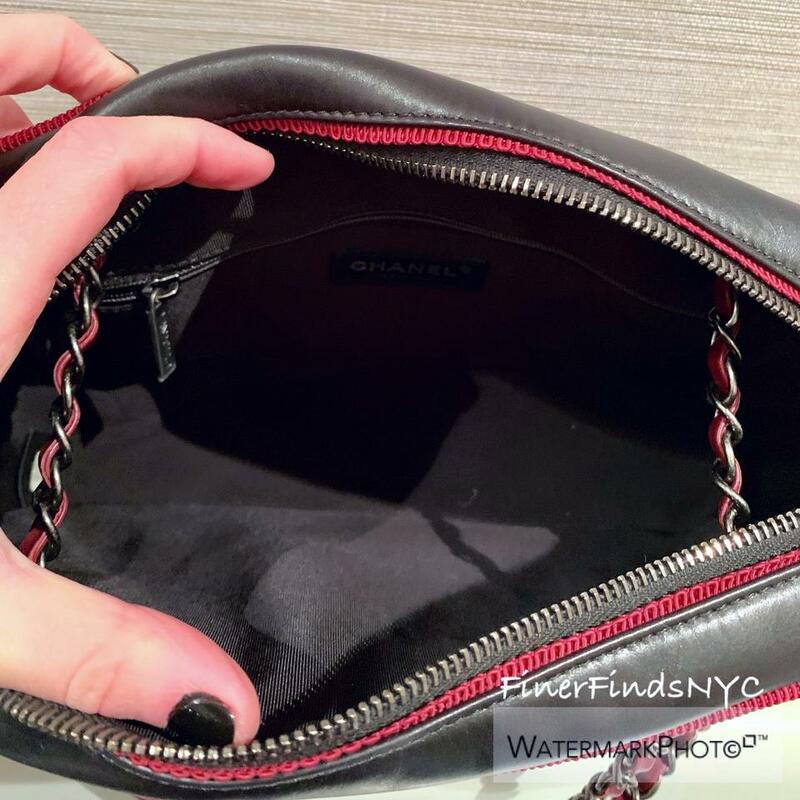 CHANEL Burgundy & Black Shoulder Bag Never Carried *Retail $2,900. 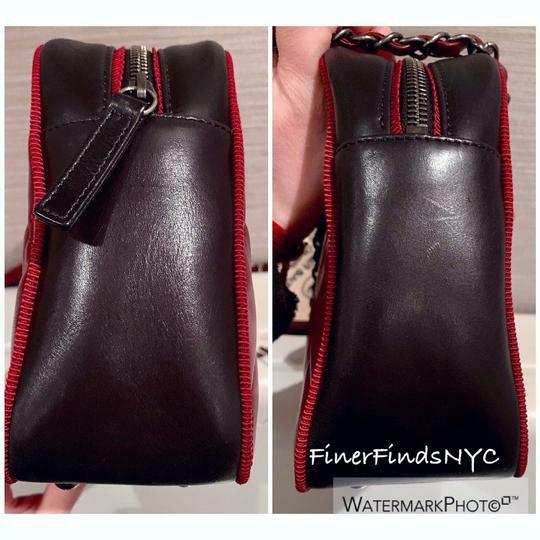 *Beautiful deep red/burgundy calfskin leather complemented by ruthenium tone hardware. 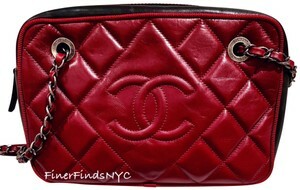 *Accompanied by: duster, tag & COA card.